“The Digital Converting Re-Volution”, with this claim SEI Laser organized an Open House, during which the company invited customers to present the range of solutions for the world of label, graphic industry and cartonboard, with theoretical sessions and practical demos on the machines present in the showroom. The digital revolution proposed by SEI Laser doesn’t start from technologies, but from new applications that can open new markets. Digital isn’t any more a novelty in printing and converting fields. 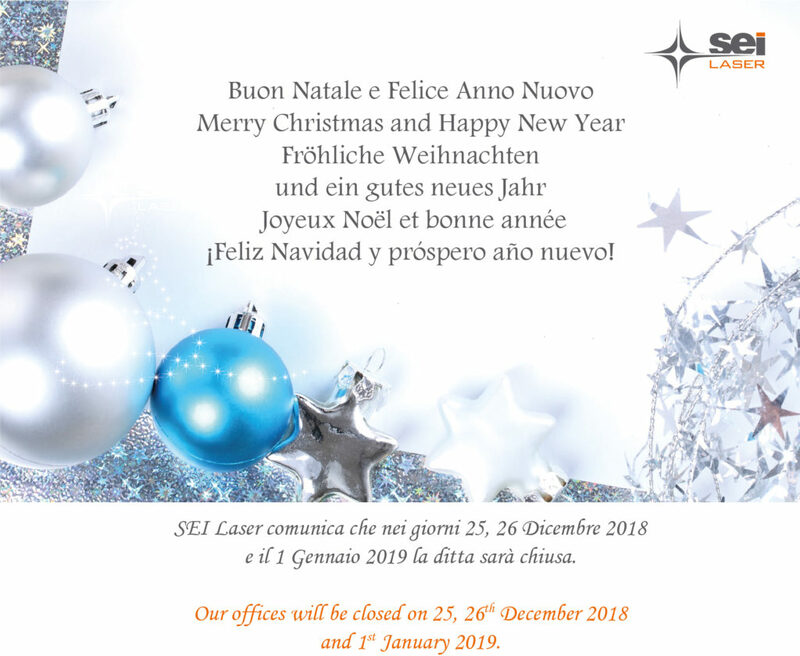 SEI Laser, that designs and manufactures laser systems for different industrial sectors, has been always oriented to propose innovative solutions in comparison with traditional systems, because the company is convinced that for any application can correspond a laser alternative. The company, that has an history of 35 years, today is one of the main world manufacturers of laser systems. For many years, the company has been investing a lot in R&D for sectors of printing, graphic industry and converting, because lasers – that we can consider digital cutting systems, since the traditional cutting die is not present – can help printers and converters of paper, labels, flexible and cardboard packaging, to make their job in an innovative way. 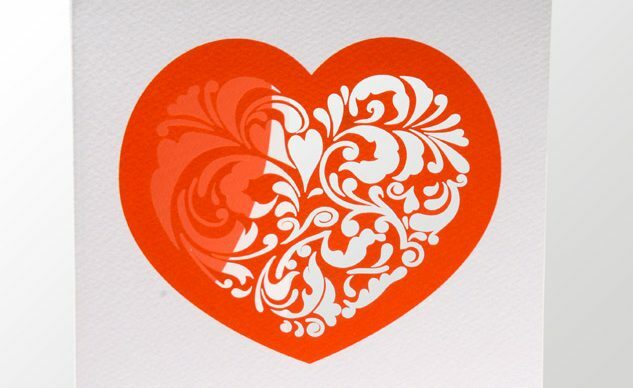 Besides for some applications laser represents perhaps the only possible solution: let’s think of greeting cards with so complex geometric shapes that no traditional cutting die could reproduce exactly. Ettore Colico, sales manager for graphic industry, label and paper converting, re membered that the concept of digital revolution must not be referred to technologies, but to the approach to production process, that through digital revolution opens new business scenarios. Let’s think of the development and success that Amazon is gaining with web channel, that only in the USA foresees to double the turnover in 2017 in comparison with traditional sale channels (80 billion dollars for Retail Store against 160 billion dollars of Amazon). Is the workflow completely digital? “Today the struggle is not offset against digital print, because it has been demonstrated that every technology is suitable for different applications and in companies work together different printing technologies”, says Ettore Colico, asking then an interesting question: “Is the production process completely digital?”. Marketing, commercial offers, market approach are all digital thanks to websites, e-mails, social networks able to manage the contact with customer in a very efficient and real time way. Also prepress and jobs preparation has been completely revolutionized by digital technologies; with an analogic process you could make 4-5 orders a day, today ready orders in a day are tens, if not hundreds. The same reasoning is valid also in print department, where digital and automation technologies have speeded up the production process, to reduce time-to-market, also in traditional offset print. “What is not completely digital today is the after-print step, all those converting and finishing operations that many companies are still making in a traditional way. It is true that are available digital cutting systems as plotters that partly digitalized the converting process of printed materials, but this step of the production workflow is considered still a bottleneck. With quicker and quicker steps of marketing, prepress and print, many printed materials are realized in a very short time from order acquisition, but then they stop in front of converting machines or waiting for cutting dies. “If this cannot be a problem for long runs, because company can organize in time, it becomes a big problem for short batches, may be urgent orders, that need a very fast time-to-market. And here enters the scene the converting specialist, SEI Laser”, says Colico. If the market has decreed the success of digital platforms that offer web-to-print service, the challenge for a technology manufacturer as SEI laser is to offer solutions able to adapt to production times and needs of these service forms, that are not new anymore. From web-to-print to web-to-label, web-to-packaging, web-to-paper design: the challenge is more and more difficult. 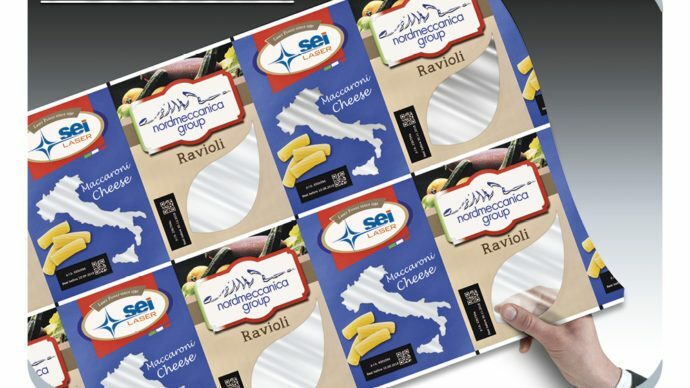 SEI Laser divided its technological solutions in 3 categories: graphic arts, packaging, labels and for every category the company offers dedicated converting solutions. PaperOne 3500 is the proposal for commercial sector for formats from 350×500 mm to 350×1000 mm. The machine is very compact and it is perfect for cutting-dies, decoration for greeting cards, and is able to process substrates with thickness from 0,10 to 0,6 mm. “This machine is more little than our other solutions, but laser heads are the same mounted on bigger machines, and guarantee the same quality. This solution is perfect for a commercial printer that wants to widen the service range for customers. The solution is modular and therefore can be expanded according to new and future needs”, explains Ettore Colico. PaperOne 5000 is the technology designed by SEI Laser for the packaging market for formats from 500x700mm expandable up to 530 or 750mm of paper passage and is equipped with automatic loader directly from incoming pallets and stacker on output pallets. The machine processes substrates from 0.15mm up to 0.6mm thick, making it ideal for cardboard as well as plastic materials such as PET, PP, BOPP and can perform die cutting, creasing, micro-perforations. Then the solution for labels world, and in this case we are talking about a web solution, Labelmaster 350x600mm able to perform finishing on paper, coated paper, PET, PP, BOPP such as laser die cutting, printing, coatings, lamination, hot stamping, and can be configured in a modular way with UV flexo rotary systems, semi-rotary, laser he ads from 1 to 4, cutting systems, inspection systems and can reach a top speed of 100 m/min. The machine can be configured web-to-web or web-to-sheet. “This solution for the label world is certainly more mature than our sheet technology, and this is the main reason because Labelmaster offers so many options” adds Colico. 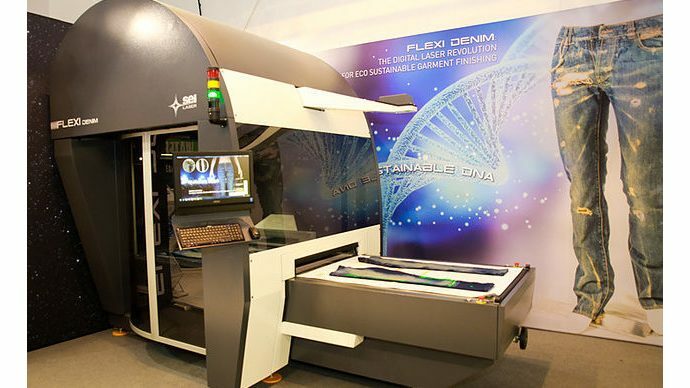 In order to optimize the use of its technologies, SEI Laser decided to provide its own brand of creasing system, SEI PaperOne ProCrease is the commercial program of this solution, consisting of “male” and “female” creasing systems at competitive costs compared to solutions already on the market, tested up to 15,000 sheets. SEI Icaro is instead the proprietary software designed for the preparation of creasing and die-cutting masks to help the operator to set the set-up of the machine and to manage the production workflow. In SEI Icaro there is also the option Variable Data for variable data management. “We want to integrate our laser systems in a digital production workflow, through which the various machines involved in the production process exchange automatically the data waiting to start their production phase. 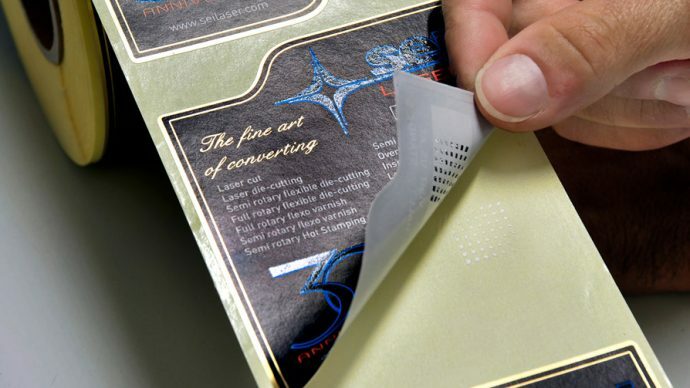 This, along with laser application in converting, the only limit to which may be represented by designers imagination, is our concept of digital revolution applied to commercial, packaging and label printing. I encourage companies to use digital to create new business”, concludes Ettore Colico.